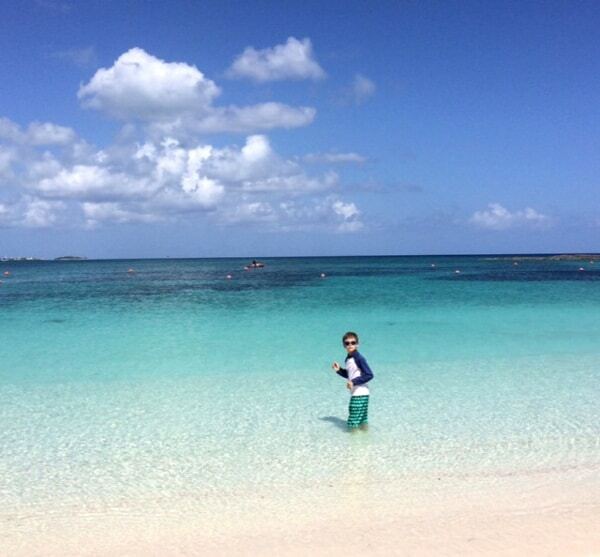 Home»All»Blue skies, clear water, exciting water slides, dolphins, sharks, pools… Paradise Island in the Bahamas! 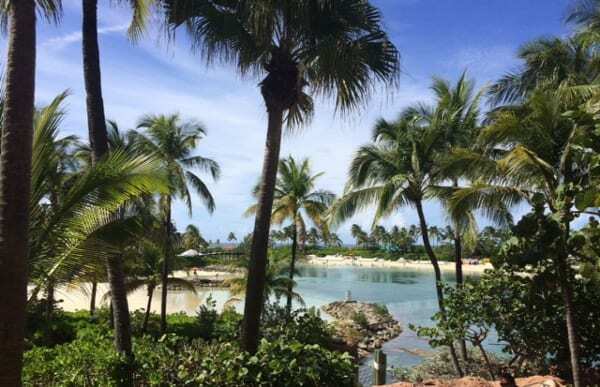 Blue skies, clear water, exciting water slides, dolphins, sharks, pools… Paradise Island in the Bahamas! Want a taste of Paradise? 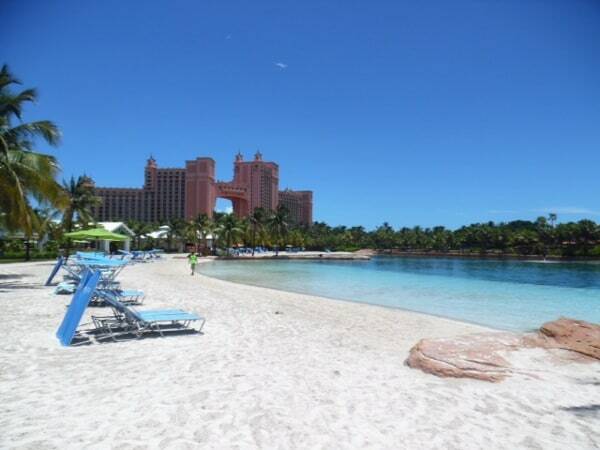 Then come with us to Paradise Island in the Bahamas! Last winter, I made the mistake (or not!) to show my son a commercial video for the Atlantis Resort in Paradise Island. It shows blue sky, clear water, exciting water slides, dolphins, sharks, pools… and he was sold! He just loved it so much that it was all he could talk about so I started looking into it for a summer vacation. Along the way, I tried to sell him other destinations maybe closer to Texas and every time he asked the same questions: Can you swim with dolphins? 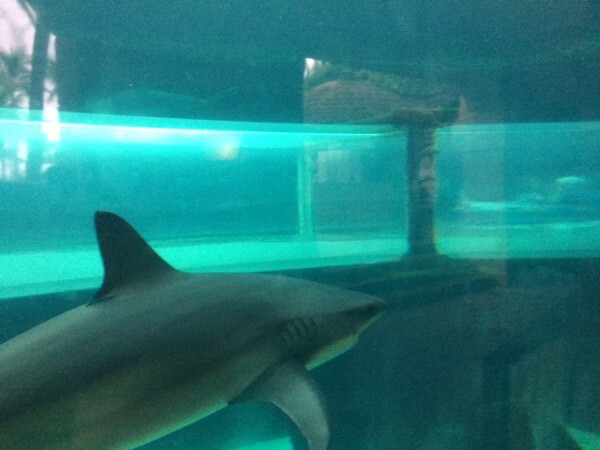 Can you take a water slide in a shark tank? Can you snorkel in crystal clear water? Invariably, I had to say no to one of these questions and so we always went back to Atlantis! 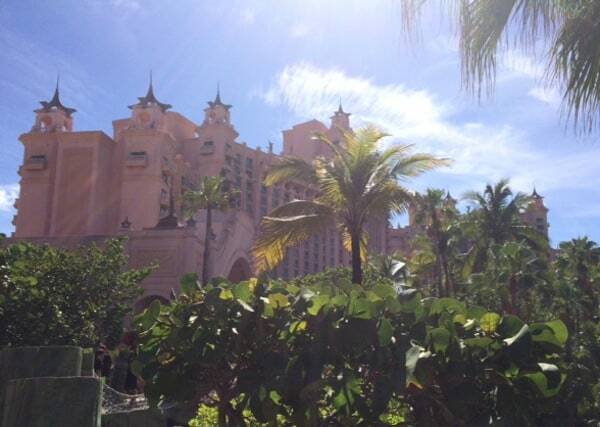 The Atlantis resort is only 3 hours away by plane but you will feel like a world away. It is huge and absolutely beautiful, lush, clean and with views of turquoise water everywhere. They offer different hotel towers ranging from moderate to luxury. I will mention the prices in a little bit but first let’s focus on the dreamy paradisiac part!! When we first arrived, we felt like we were never going to find our way around but no matter what wrong way we took we were sure to find some great aquariums or pools! Aquaventure is their water park that is open from 10am until 7pm and it has 8 water slides, a lazy river and a rapids river. The Leap of Faith slide is the craziest of all and we enjoyed watching people screaming and proud to have done it! My husband did it twice and I knew that there was no way I would slide almost vertically into a tunnel in a shark aquarium! They have fairly strict rules for the rides so your child has to be 48 inches minimum. For the little ones, they have small slides and 3 fun kids’ pools with games and structures. 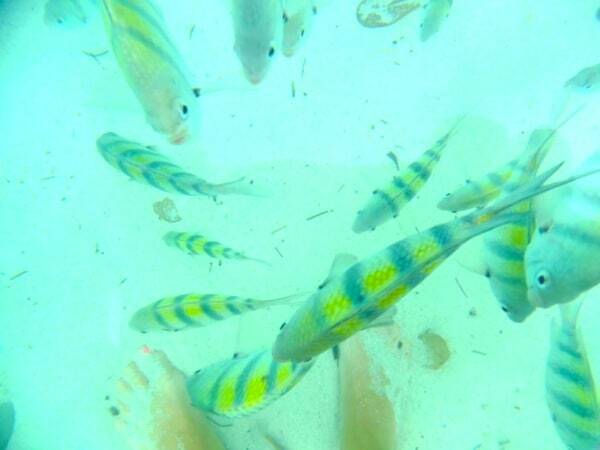 Then you have the Paradise Lagoon with sand and clear water so you can see colorful fish swim around you. My son absolutely loved this! 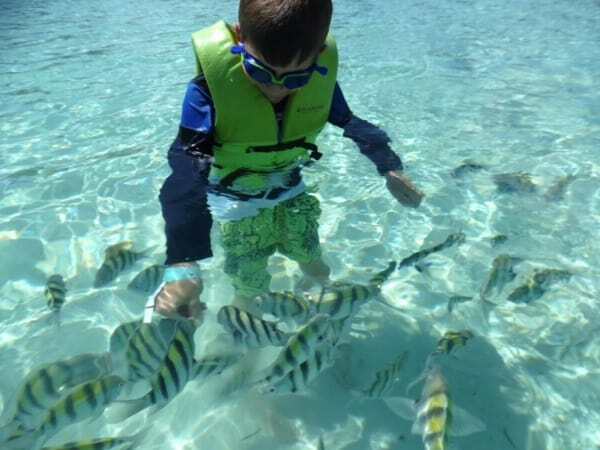 He wore a life jacket (free and found everywhere throughout the resort) so he could wander around the lagoon with my husband while I sat on a beach chair in the water surrounded by white or yellow fish. You can buy fish food but they let us feed them bread crusts or crackers. It was amazing to hand feed the fish. It was the first time for me and our son to do that and it was as incredible as I thought. And then, if that is not enough, they have 3 beaches with white sand and clear water. One had strong waves and was quickly deep, one had medium size waves and our favorite one was completely calm and had a slow slope where you could watch the fish. As a matter of fact, we also saw a sea turtle there! The resort was crowded but the beach was mostly quiet and we almost felt like the only ones there as you can see on the picture! Once you are done with the water fun, walk around the resort and discover all their aquariums. The Dig is an underground adventure which takes you into the world of Atlantis. The Predator lagoon takes you through caves-like aquariums and a tunnel where sharks swim over you. They have so many fish, so many ponds, so many aquariums that it is sure to keep you entertained. They went all out with the details and it is really beautiful to walk through the resort. Dolphin Cay is another lagoon with dolphins and you can book your interactions with them. (The dolphins were rescued from the New Orleans Aquarium when Katrina hit.) My husband and son did the shallow-water interaction and loved their dolphin who was so friendly and fun. It was their best moment and most unforgettable one. 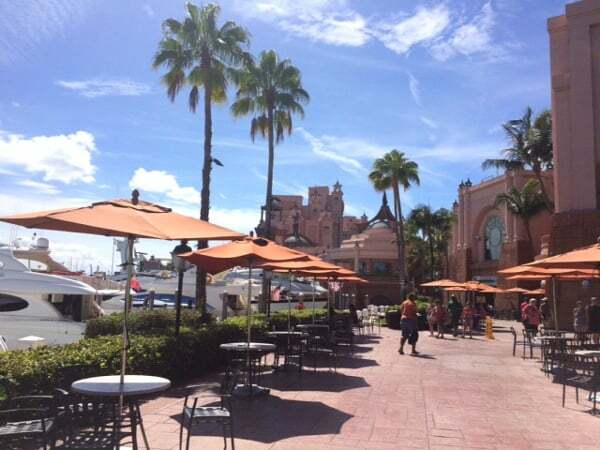 And if that is still not enough, every day they have a little gazette with many pool side activities with Bingo, basketball hoops, feeding, games… Every day, their movie theater shows a kid-friendly movie that is included with the resort activities. There is a casino for the parents, lots of good shopping and plenty of restaurants of course! 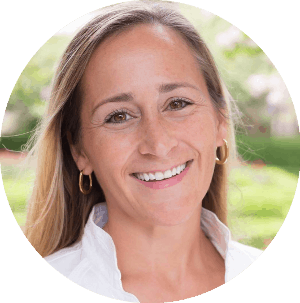 There is a fitness center and a spa and if you want to enjoy these without your children they have Kidventure, where kids will be taken care of for the morning or the afternoon or even for the full day. And if you have tweens or teens, they have their own club that looks like a lot of fun! I could go on and on with everything to see and do. I hope we make you want to go! The prices for the resort were not cheap, that’s for sure but except for food and drinks (which is really pricey) you do not need to spend any money at the resort. We actually booked a room with a hotel right on the other side of the resort- the Comfort Suite. It had free breakfast, free wi-fi and full access to Atlantis. Our room had a fridge and we were able to find a little grocery store for lunches. I had done research before booking and this was the most economical way to enjoy the resort at reasonable price. We had such a wonderful time and enjoyed the Bahamian spirit, from their strong pride in their independence to their “liquid sunshine” definition of rain! I hope we made you want to go and if you have any questions or comments, we would love to hear from you! In the meantime, check out their website… but if your children see it, it will be hard to make them forget what they have seen! Creekwood Park and Pool in The Woodlands! Do Not Miss a Thing! Posts on BigKidSmallCity for July 30-August 5, 2016!